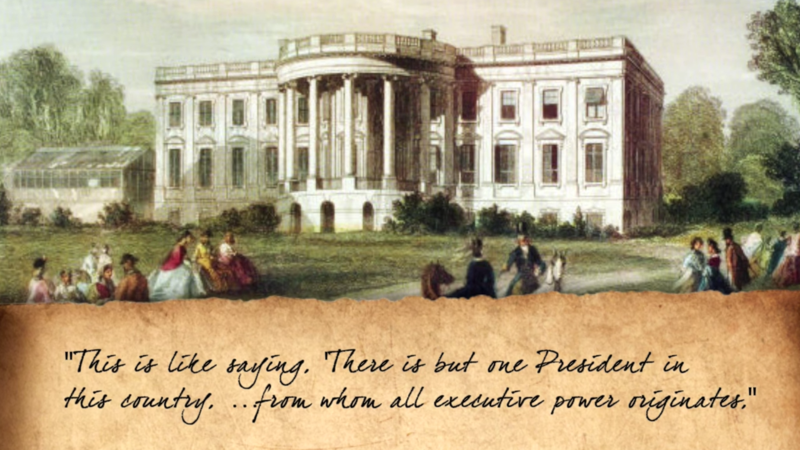 President, architect, and inventor, Jefferson and the Christians arose at the same time. 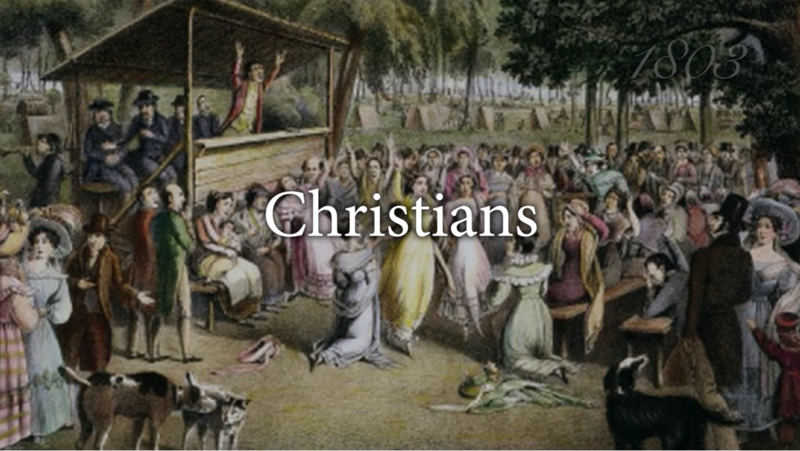 …to express my gratification with your efforts for the revival of primitive Christianity in your quarter. 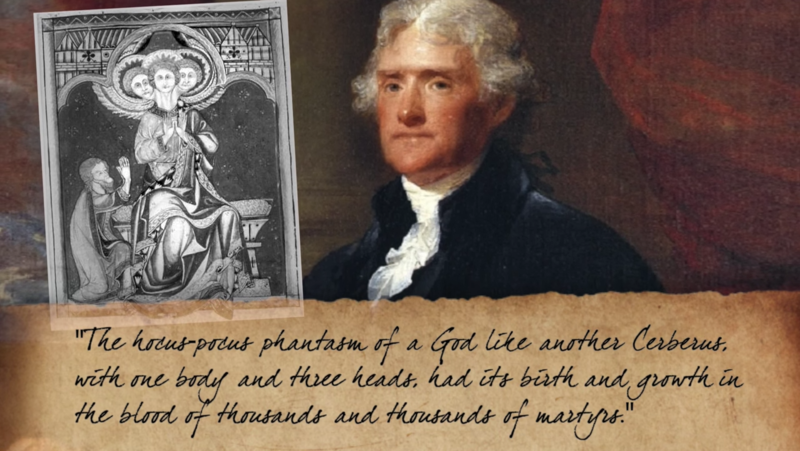 No historical fact is better established, than that the doctrine of one God, pure and uncompounded, was that of the early ages of Christianity;… The hocus-pocus phantasm of a God like another Cerberus, with one body and three heads, had its birth and growth in the blood of thousands and thousands of martyrs. 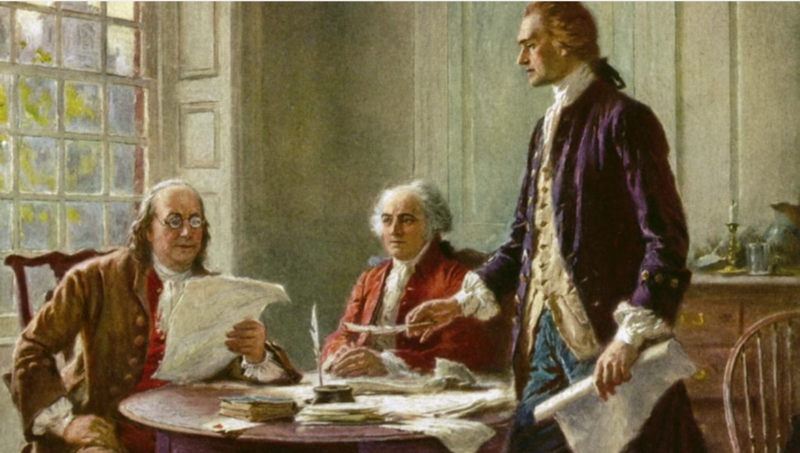 And a strong proof of the solidity of the primitive faith, is its restoration, as soon as a nation arises which vindicates to itself the freedom of religious opinion, and its external divorce from the civil authority. 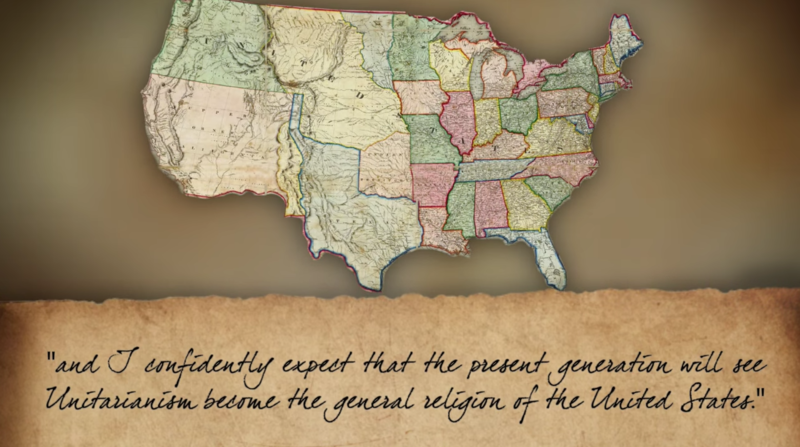 The pure and simple unity of the Creator of the universe, is now all but ascendant in the Eastern States; it is dawning in the West, and advancing towards the South; and I confidently expect that the present generation will see Unitarianism become the general religion of the United States. 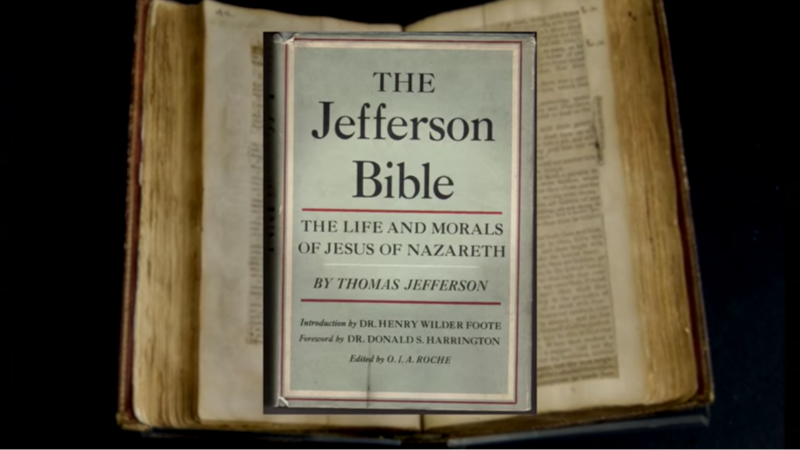 What evidence did Jefferson have that gave him such confidence that “the genuine doctrine of the one only God” was reviving? What was happening in the east, west, and south? 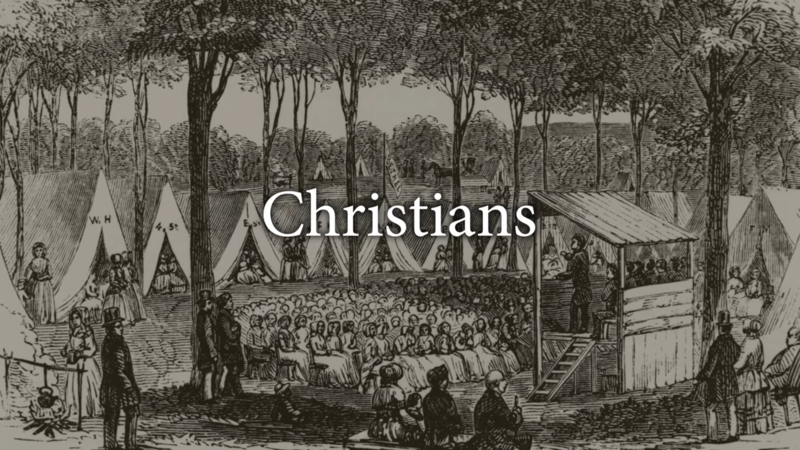 The rise of a group called the Christian Connexion. 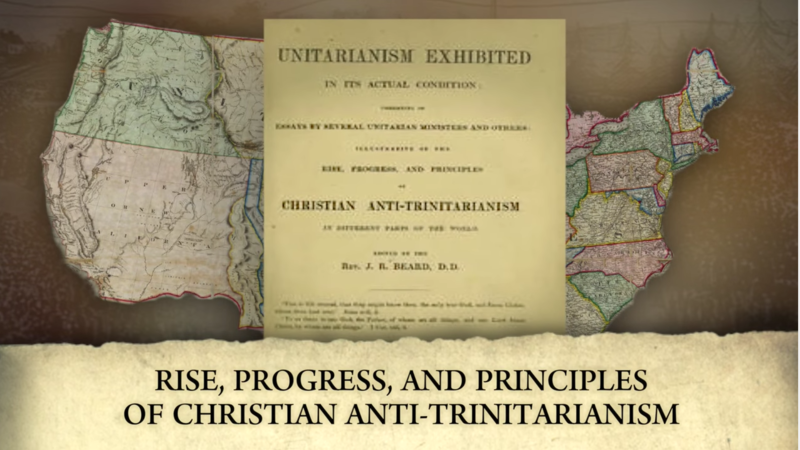 In the 1846 book, “Rise, Progress, and Principles of Christian Anti-Trinitarianism,” this group is described as “a very considerable body of religionists” “who, rejecting all names, appellations and badges of distinctive party among the followers of Christ, simply call themselves CHRISTIANS.” They were composed of three groups which arose simultaneously in the East, the West and the South just as Jefferson described. They had no prior contact with each other, but upon learning of the other’s existence and through correspondence, they realized each held to the same doctrinal convictions. The first group separated from the North Carolina Episcopal Methodists in 1793. 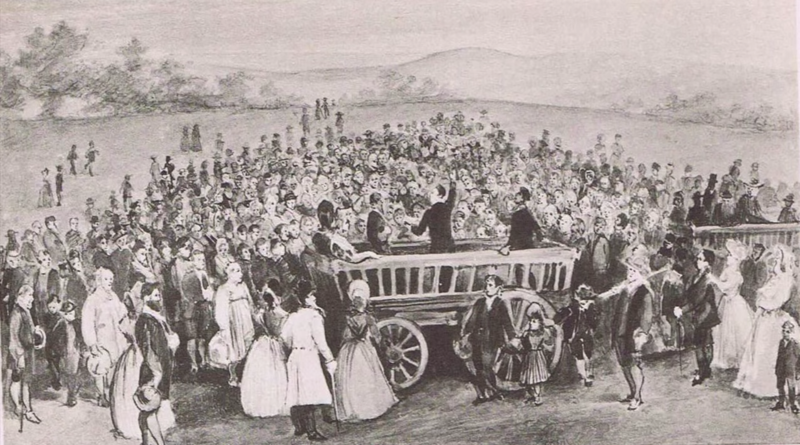 At first they called themselves Republican Methodists, but soon resolved to be known only as Christians, “to acknowledge no head over the church but Christ and no creed or discipline but the Bible.” Only a few months later, Abner Jones, a Baptist in Hartford, Vermont, was also convinced that “sectarian names and human creeds” should be abandoned and determined to make “the Bible the only source from whence he drew the doctrine he taught.” In September, 1800 he and 25 others formed a church upholding these principles. Within a few years other like-minded churches sprung up throughout New England. 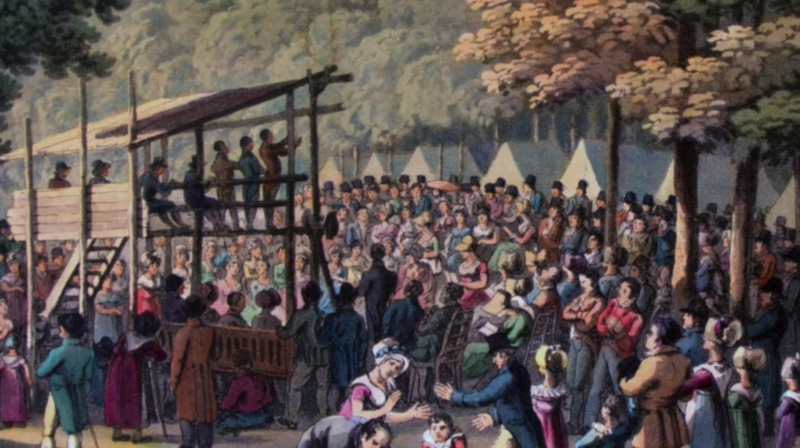 In the same year, a revival which began at Cane Ridge, was sweeping the Presbyterians of Kentucky and Tennessee. 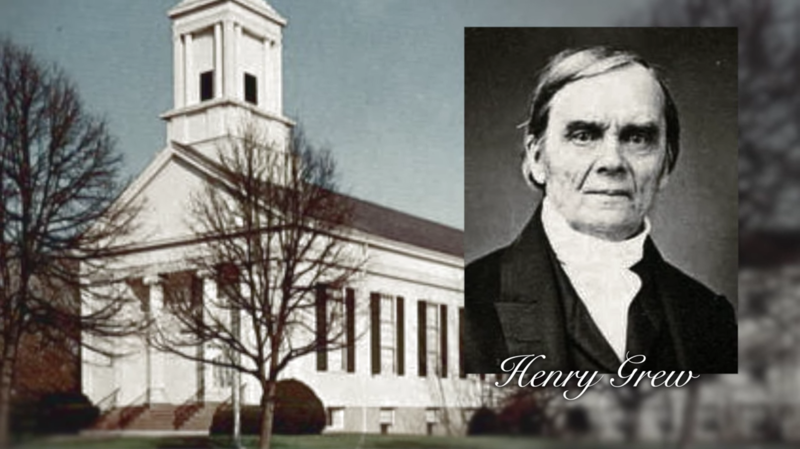 Barton Stone and several other members withdrew from the Kentucky synod and agreed to “take the Holy Scriptures as their only written rule of faith and practice.” At first they took the name “Springfield Presbytery” but by 1803 they too decided to be known only as Christians. 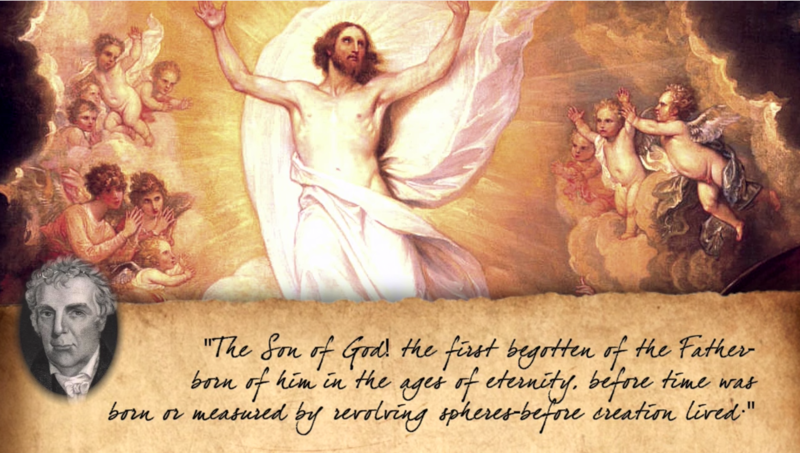 --behold the Son of God! a helpless, weeping babe in Bethlehem--wading thro' seas of distress through life, hated, insulted, persecuted by the poor creatures of his power, and objects of his love; view the Son of God, suffering, bleeding, dying on the cross. All nature shuddered at the sight. 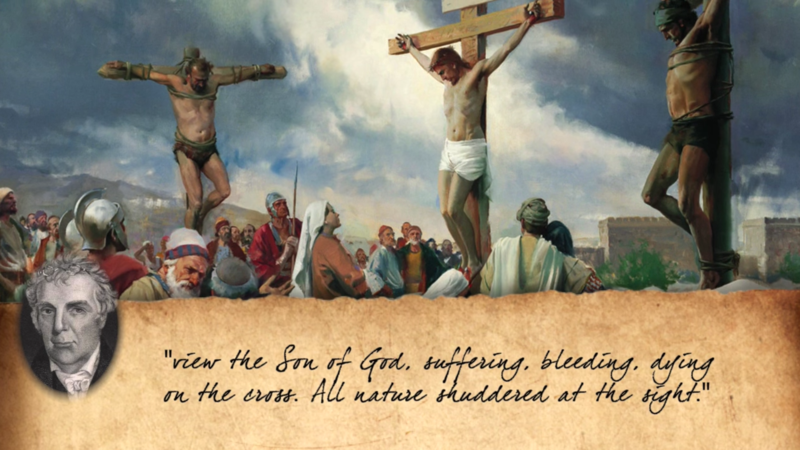 It is not a mere man that suffers and dies: it is the Son of God! Under the power of death, he lies in Joseph's tomb. Here is humiliation! a theme of astonishment and eternal praise.” The Works of Elder B.W. Stone, Vol. 1, 2nd Edition, 1859, p. 72,73. “with very few exceptions, they are not Trinitarians, averring that they can neither find the word nor the doctrine in the Bible. They believe ‘the Lord our Jehovah is one Lord,’ and purely one. That ‘Jesus Christ is the only begotten Son of God;’ that the Holy Ghost is that divine unction with which our Saviour was anointed, (Acts x. 38,) the effusion that was poured out on the day of Pentecost; and that it is a divine emanation of God, by which he exerts an energy or influence on rational minds. 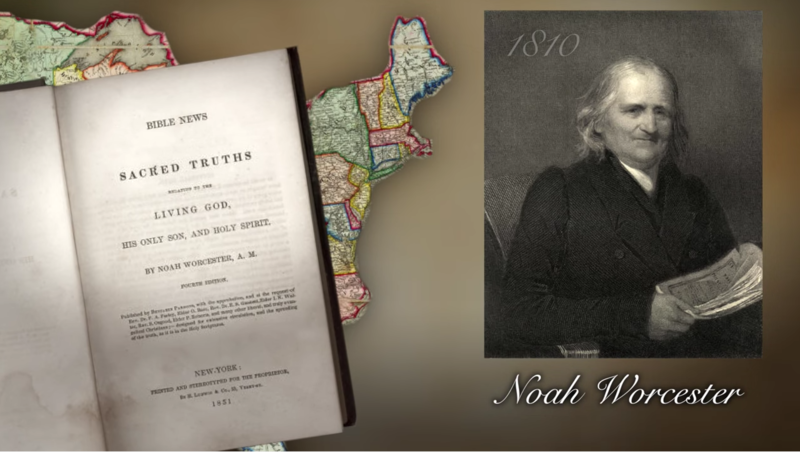 Noah Worcester (1758-1837) in 1802 was the first Congregational missionary to New Hampshire. 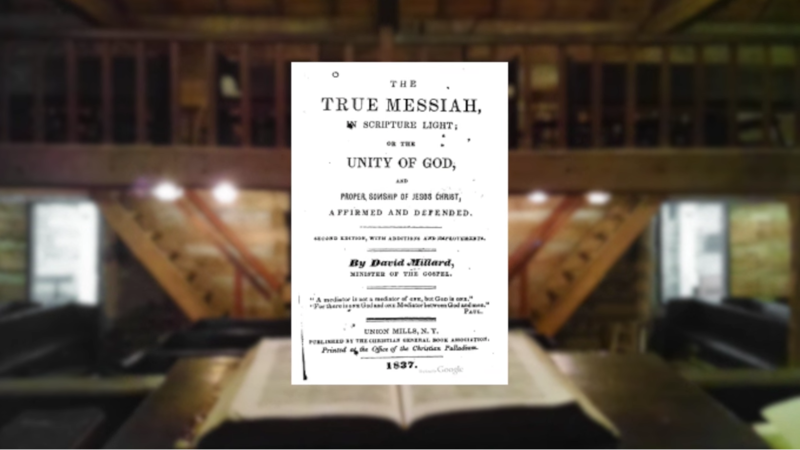 Eight years later in Connecticut he published his book, “Bible News, or Sacred Truths relating to the Living God, his Only Son, and Holy Spirit”. 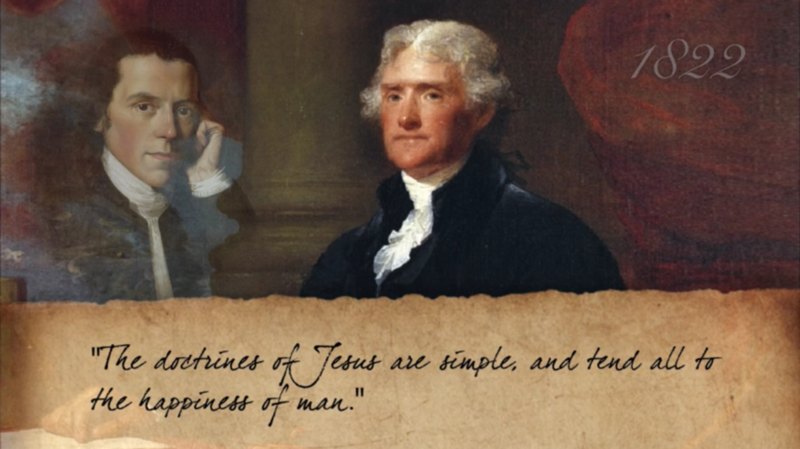 In it he disclosed his discovery that “the doctrine of a ‘Three One God’ has no foundation in the Bible.” “I have believed,” he wrote, “that the Son of God is a distinct Being from his Father.” Like Thomas Jefferson, Noah “confidently believed, that the time is not too far distant, when the doctrine, that Christ is really God’s SON, will not, by Christian Ministers, be classified among “damnable heresies.” “They must believe that he is the Son of God in a lower sense of the terms. Consequently, if my sentiment be degrading to Christ, theirs must be still more degrading.” “It has not been common to make any distinction between derived existence, and created existence, but in the present case the distinction appears very important. Adam was a created being; Seth derived his existence from the created nature of Adam; and therefore it is said “Adam begat a son in his own likeness.” So, it is believed, that the ONLY BEGOTTEN OF THE FATHER DERIVED HIS existence from the self-existent nature of God.” Abner Jones (1772-1841), one of the founders of the Christian Connexion, echoed the same thought in 1829 for the Church of the United Brethren in Christ: “Christ proceeded forth from the substance of the Father, and is of the same divine nature with his Father and essentially united with Him in creation, providence and grace.” Christian Repository, volume 1, pub. Church of the United Brethren in Christ (1800-1889) May, 1829 Vol 1. No. 5 “Principles, No. 1” by Abner Jones, p. 131. The Father and Son are two distinct beings:.. 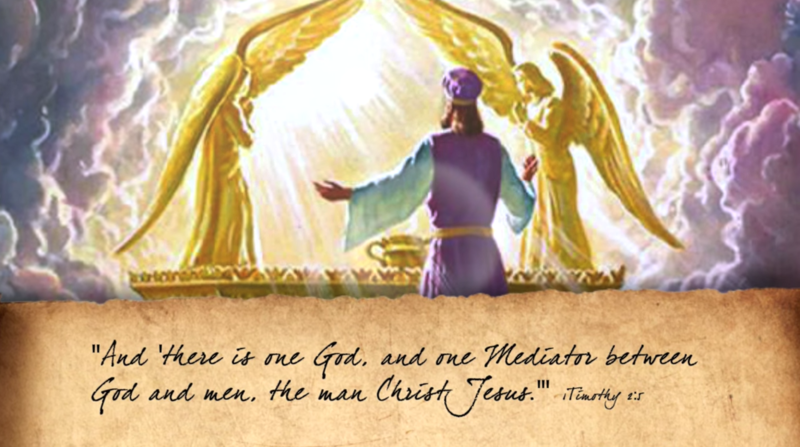 If Jesus is also supreme God, he cannot be the Mediator between God and men.” “…the Mediator is ten thousand times greater than all the men on earth and all the angels in heaven, and the next greatest being in the universe to God the Father; and the scripture informs me, that all power in heaven and earth is given to him, and that he is able to save to the uttermost. I can feel no hesitation in trusting my soul to his care.” William Kincade, The Bible Doctrine of God, Jesus Christ, the Holy Spirit, Atonement, Faith, and Election; to which is prefixed some thoughts on Natural Theology and the Truth of Revelation, New York, 1829. 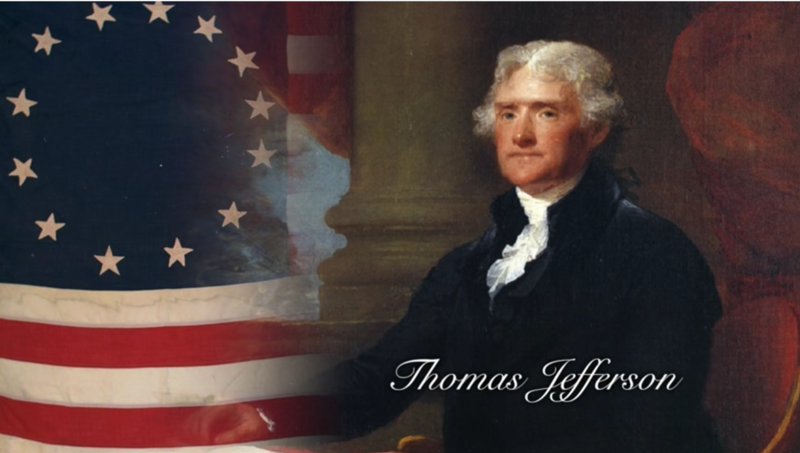 The rapid growth of the Christians is seen in the numbers they could count as of 1844: 1500 churches with preachers, membership about 325,000, and it was estimated that probably not less than 500,000 in America had adopted their general views—even Thomas Jefferson.